Today's gift is great on its own, or it can be paired with the grill apron we made yesterday. 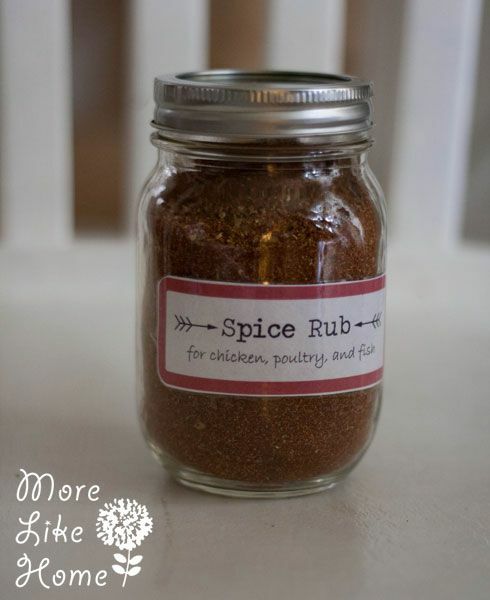 It's a yummy spice rub! It seems like even guys who don't normally like to cook get excited about using the grill! 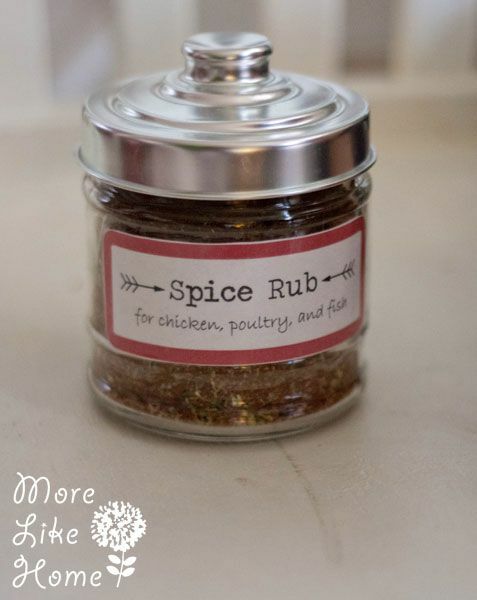 So a spice rub is a really easy and cheap gift that they can have fun using (and kind of like a gift to his wife, too, if it means his making dinner!). Then you just have to add a label. 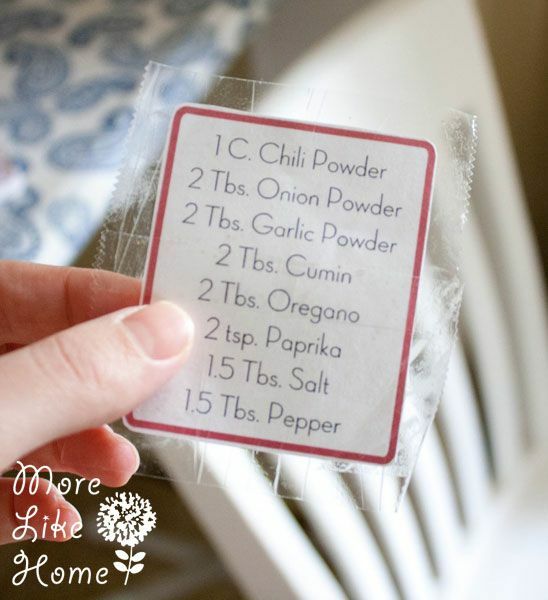 You could print them on sticky paper, cut them out, and stick them right on, but for food things I want the label protected so it doesn't get ruined if I get something on it. So I like to print it on regular paper then use packing tape across it to seal it in and protect the label. A little less fancy maybe, but much more practical! 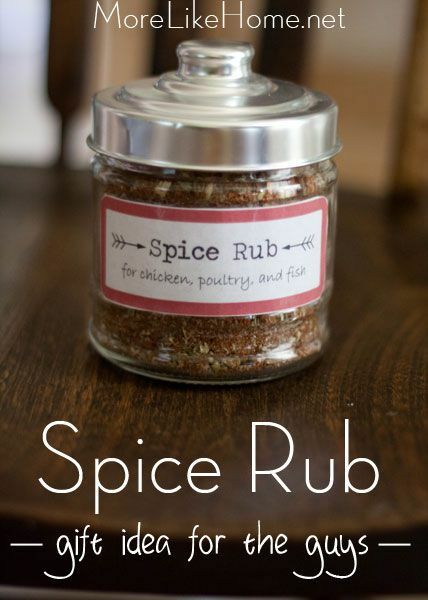 You can download the Spice Rub labels here. And yes, I did realize it say "chicken, poultry and fish" after I took pics, but the printable has been updated to say "meat, poultry and fish". Whew. 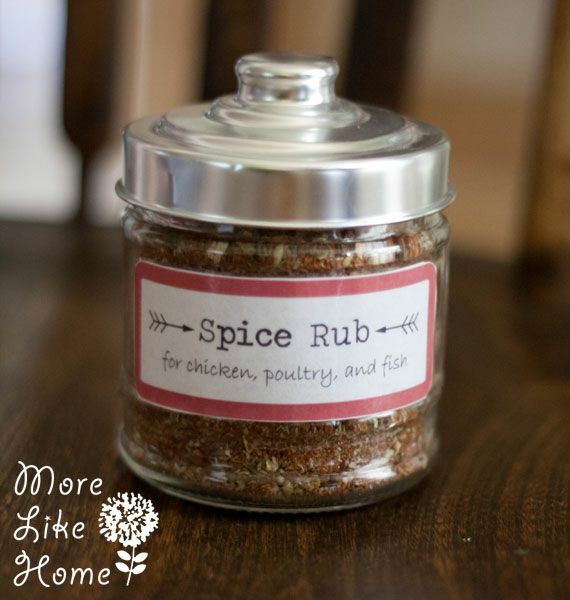 There's an optional back label too with basic directions for the spice rub and an ingredient list (I always like to know what I'm eating!) if you use a jar big enough to fit both. What's that? You're guy likes something a bit more south of the border? 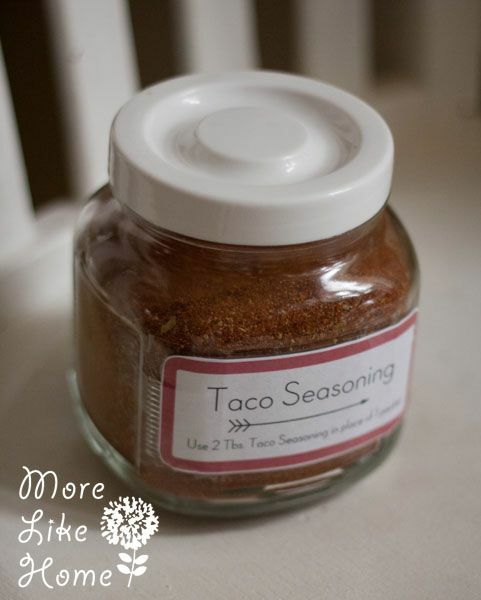 Well, how about our favorite taco seasoning? 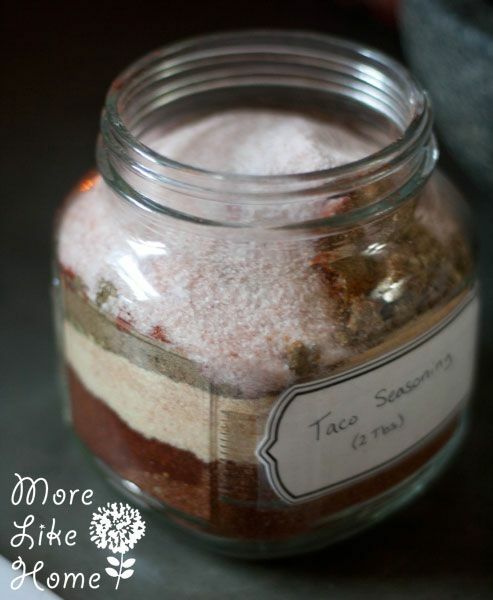 Download the Taco Seasoning labels here. 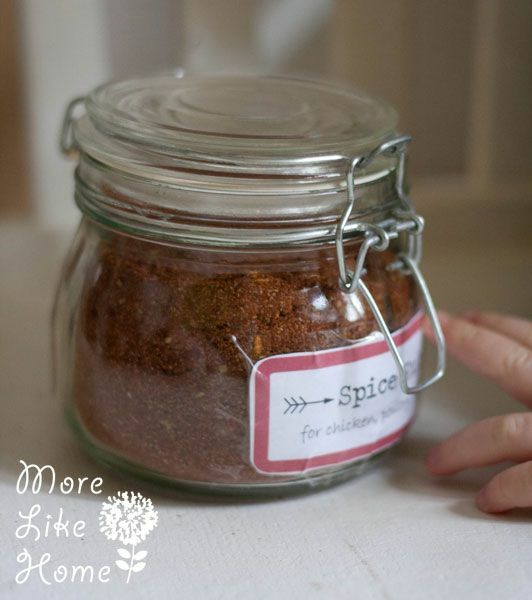 I make a big batch since we use it so much, but you could split it into smaller jars instead. 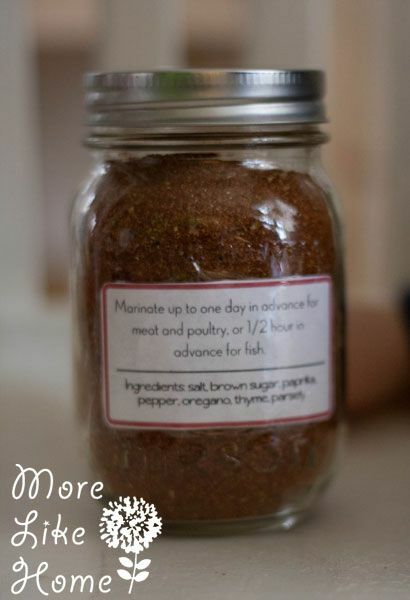 This one includes an optional back label that has a complete ingredient list so you can refill your jar when you run out. And by "you" I mean "I". Because I got tired of looking up the recipe all the time. So what does it cost to make these? Okay, this one I don't know exactly. 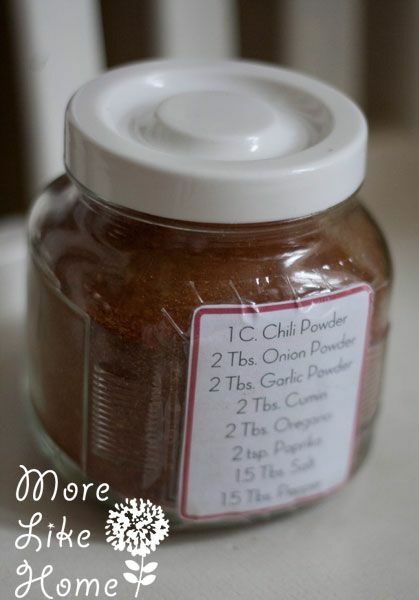 But I can tell you that all four kinds of jars I used in this post are from Dollar Tree, so just $1 each! I don't know how much the spices cost, but most of the ones I used were $1-2 per bottle at Aldi (and I got the full cup of chili powder in the taco seasoning from one bottle). So I'd say ballpark per jar would be $3-4 each. 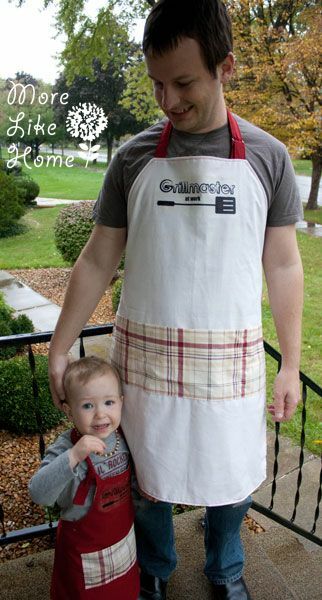 You could pair this gift with some grilling tools or make a reversible grill apron (and a matching child-size apron) to go along with it! 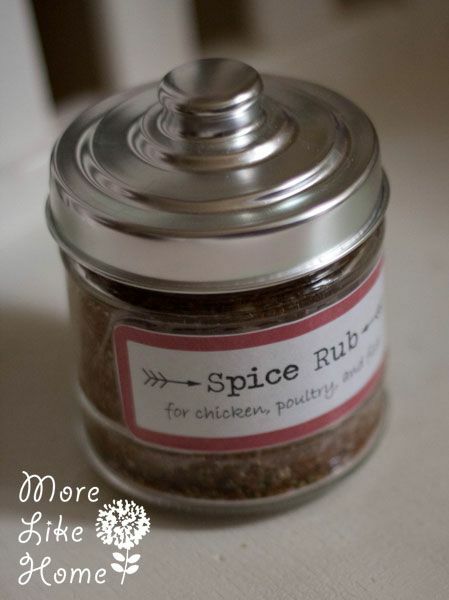 Or you could fill a bunch of small spice shakers (like these) to make great stocking stuffers! 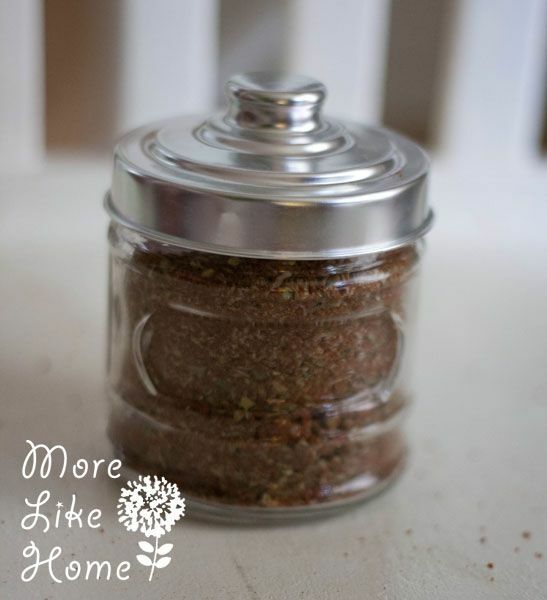 Do you have a favorite spice rub recipe? How would you gift something like this and what would you pair it with? I made this for steaks last night. Holy cow it was delicious. And we have tons left for future meals. Oooo, I will help you with the leftovers. You can make me steaks.